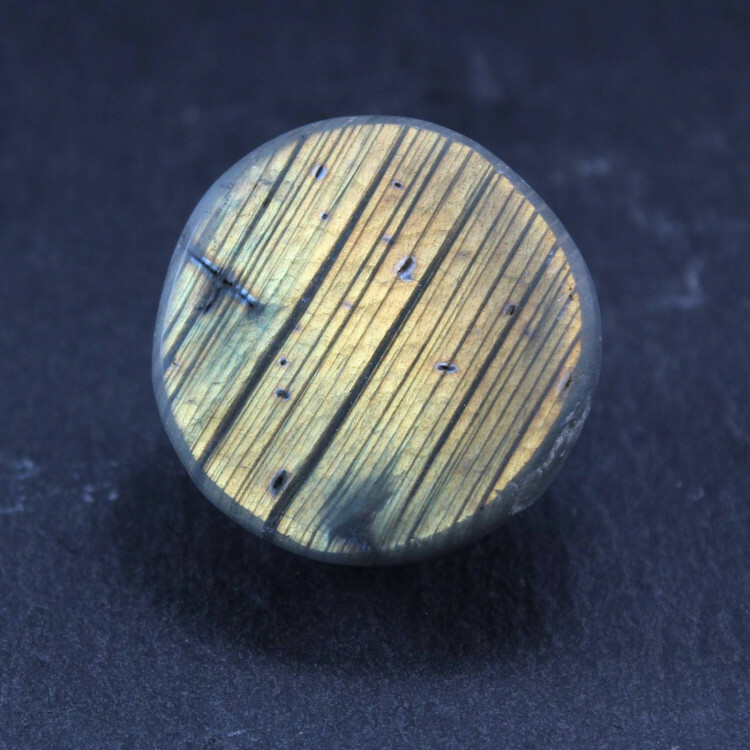 These are Labradorite Emma eggs – half polished Labradorite eggs, cut in half. Labradorite emma eggs are fairly unusual way of presenting labradorite, which still looks nice. Rather than fully cutting, then polishing the labradorite into a polished dome, the stone is roughly cut and then roughly polished. These stones have a lot of natural variation, and may have bright blue, green, yellow, pink, red, aqua, yellow, or golden play of colour in them. These are quite a good grade of Labradorite, not often seen outside of jewellery. They sell really well for us, and we hope our supply is fairly reliable. 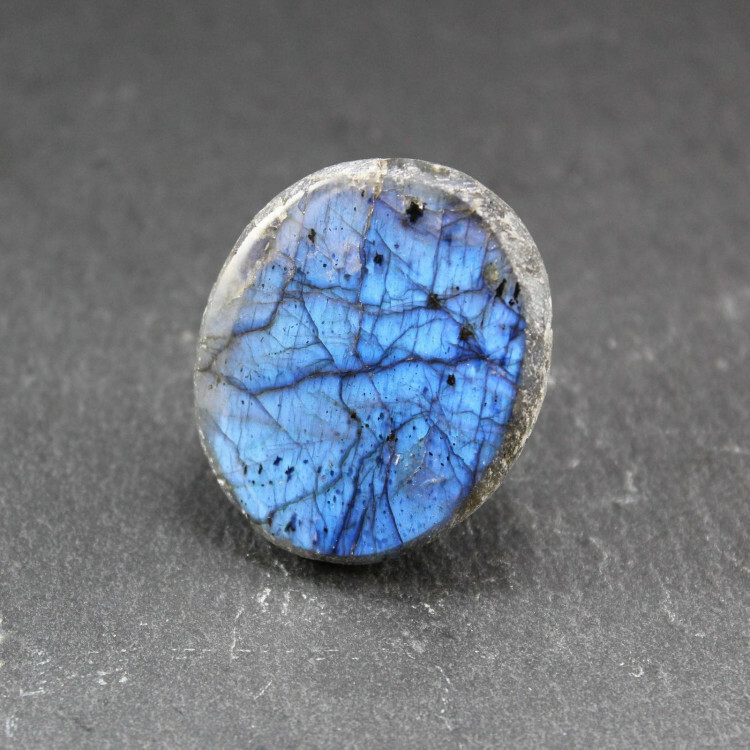 We sell a range of Labradorite products, including cabochons, polished stones, rough Labradorite, and decorative objects. 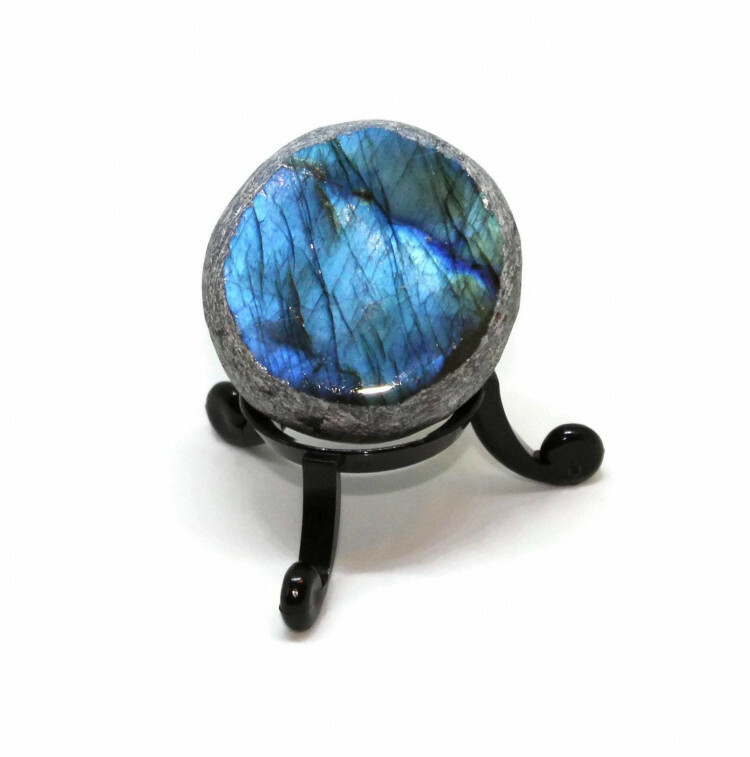 Please see our Labradorite section for a list and more information about the stone. Great product, arrived overseas in just a few days.